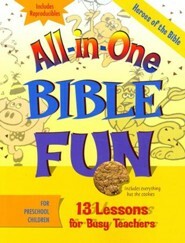 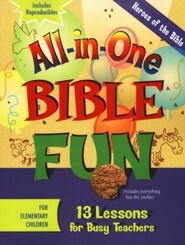 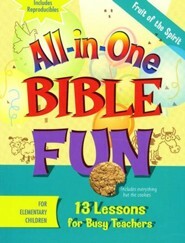 All-in-One Bible Fun is an undated quarterly children's ministry curriculum. 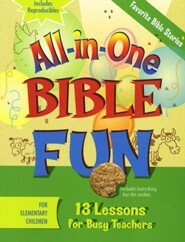 Each book has 13 lessons including a teacher's introduction, arrival activities, Bible story, a Scripture verse, plus song and prayer ideas. Crafts and games center around each week's themes. 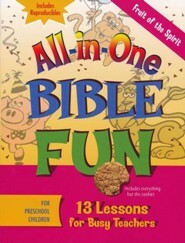 Craft supply lists are included with each lesson and use common items found in Sunday School for children. This preschool volume contains the Stories of Jesus. 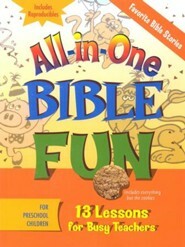 I'm the author/artist and I want to review All-in-One Bible Fun: Stories of Jesus (Preschool edition).